Item # 317176 Stash Points: 2,795 (?) This is the number of points you get in The Zumiez Stash for purchasing this item. Stash points are redeemable for exclusive rewards only available to Zumiez Stash members. To redeem your points check out the rewards catalog on thestash.zumiez.com. Can't "bear" to wear the same old t-shirt? 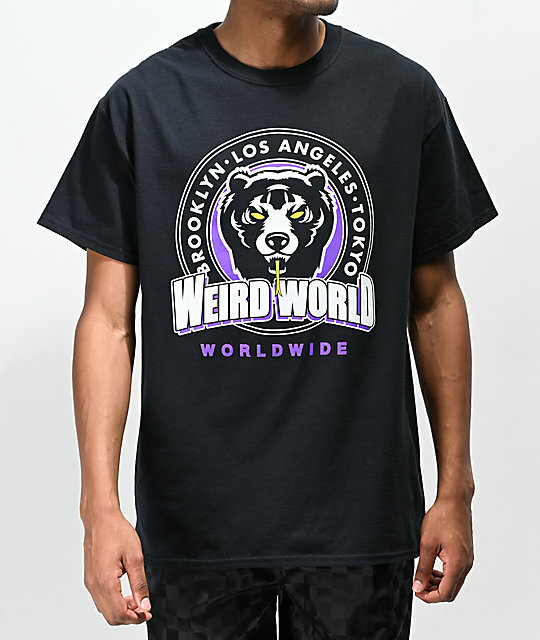 Grab the Mishka Weird World Black T-Shirt to spruce up your daily looks. This all-black t-shirt features the screen-printed image of a bear at the center chest with a snake tongue for wild detailing. Screen-printed script arcs around the bear for classic branding and style, while the relaxed fit and tagless construction keeps you comfortable all-day-long. 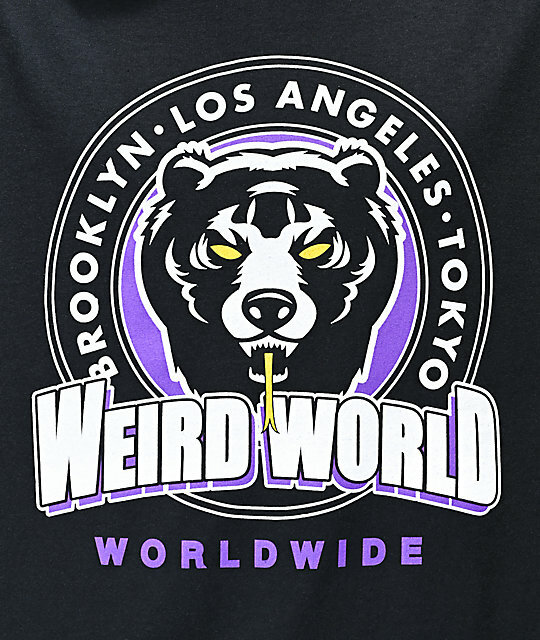 Weird World Black T-Shirt from Mishka. Screen-printed graphic of a bear with a snake tongue and script detailing at the chest.